These bestsellers have their own fan club. 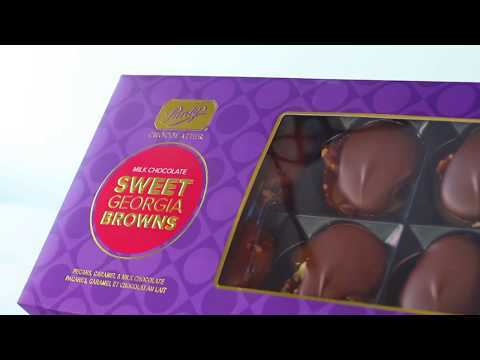 Crafted from crunchy roasted pecans, unbelievably soft caramel and a generous dollop of milk chocolate (made from 100% sustainable cocoa), Sweet Georgia Browns make for an exceptional gift for yourself or anyone special to you. 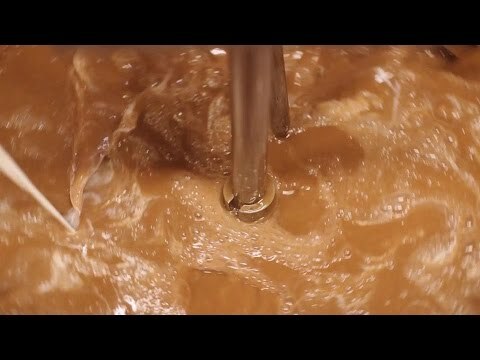 Experience the chocolatier magic of how Sweet Georgia Browns are made in our yummy video. Warning: You may experience instant cravings while watching. Ingredients: Pecans, Sugars (sugar, glucose), Milk ingredients, Cocoa butter, Unsweetened chocolate, Coconut oil, Salt, Vanilla, Soy lecithin, Vanillin. May contain: Peanuts, Eggs, Other tree nuts. Ingrédients: Pacanes, Sucres (sucre, glucose), Substances laitières, Beurre de cacao, Chocolat non sucré, Huile de noix de coco, Sel, Vanille, Lécithine de soya, Vanilline. Peut contenir: Arachides, Oeufs, Autres noix.